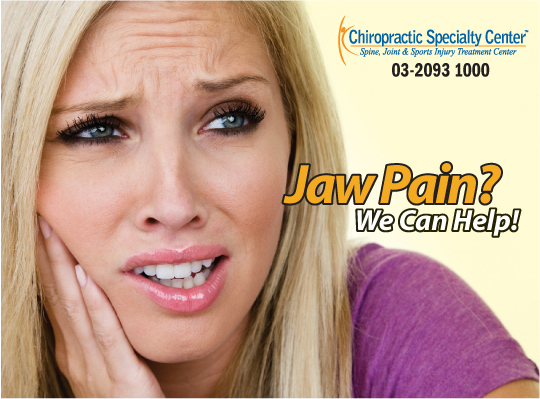 So without delay, let's start looking why a jaw issue is causing your pain. Your ear canal and the structures located in the middle ear are only a few millimeters away from your jaw joint. But more importantly, the jaw tissues have connections to the middle ear. The pad that separates the two bones that forms the jaw joint is called the disc or disck. The jaw disc or TMJ disc allows for motions and absorbs the impact of bitting and chewing food. This disc is a critical part of the jaw joint. Functionally, it has the same importance as the discs in your spine. similarly, they can slip or get damages. The article disc of the TMJ (the pad separating the two jaw bones) is connected to the ligaments and muscles of the jaw joint. The clinical significance of the jaw disc and ear symptoms is the fact that this disc has fibers that connect to the middle year. Yes, your jaw joint is directly connected to your middle ear. As such, when problems arise in the jaws in can also cause symptoms in the ears. Most common symptoms caused is noise sensitivity, ringing in the ears, dizziness, headaches, nausea and even neck pain. At the Chiropractic Specialty Center® in Bukit Damansara, we have treated hundreds of pateints that suffered from ear pain, tinnitus, Meniere's disease successfully by addressing issues in the jaws and neck. How Tinnitus and Meniere's Disease can occur from Jaw Issues Even When your Jaws Don't Hurt? 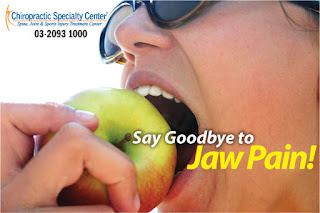 We have treated thousands of jaw pateints. The vast majority of these patients didn't even realize they had jaw issues. The jaw joint is the only structure that has no pain-sensing nerve fibers. So, when issues occur, it is hard to link it to a jaw pain. This difficulty is not just seen with pateints that have ear pain, tinnitus or Meniere's disease, but sadly doctors that treat pateints. The reason why our creator did not put pain-sensing nerve fibers in our jaw joint is so that we can continue eating and talking with a TMD (jaw disorder or temporomandibular disorder). So, since there are no pain-sensing nerve fibers jaw issues go on undetected and unresolved. Well, that will not happen when you get care from our clinical teams of chiropractors and physiotherapists. We have the best chiropractors in Malaysia. But, chiropractic is not enough. You will also need physiotherapy. For chiropractic or physiotherapy to help, care must be focused, and comprehensive. The most critical part of the care is an accurate diagnosis. So, if you have had neck issues, headaches, ear pain, tinnitus or Meniere's disease that others can not resolve, visit us. We are the premier spine and joint treatment center in Malaysia. The care you get from our clinical collaborative teams is enriched with breakthrough technology. In short, we treat you better. Call our main center at 03 2093 1000 to find more information on TMJ (jaw pain) and the associated conditions it can cause. We are your best hope in getting you back to a healthy active state. Jaw disorder and symptoms caused by them are often the result of injuries sustained. Sports injuries, fights, excessive yawning, chewing gum, resting the chin on hand are a common cause of jaw disorder. But, the most common cause of TMJ pain or jaw issues is dental work or medical procedures. Going to your dentist on regular basis is good. However, prolonged dental procedures such as root canals or surgical interventions that keep your mouth open for prolonged periods can damage the jaw joint. Gastrointestinal scopes are the second most common causes of jaw issues. So, have your jaws thoroughly evaluated if you developed ear sensitivity, ear pain, tinnitus or Meniere's disease after these procedures. Learn more about Jaw Pain (TMJ problems). Call our main center at 03 2093 1000 to get more information on our treatments of JAW DISORDER is a common cause of EAR PAIN.